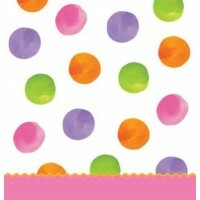 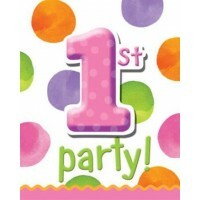 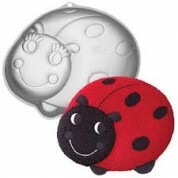 1st Birthday Girl Dots is a wonderfully cheerful and colourful range of high quality party items ideal for your special little one's 1st Birthday party. 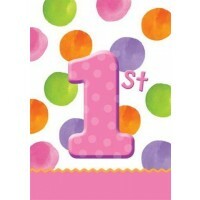 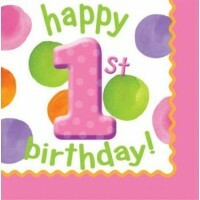 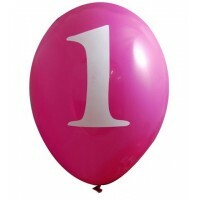 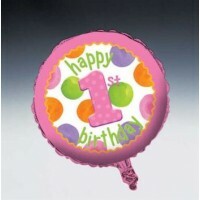 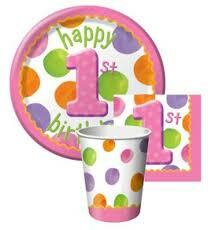 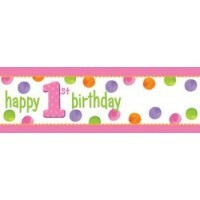 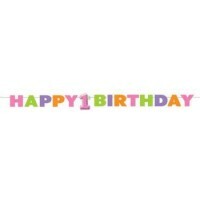 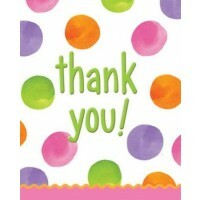 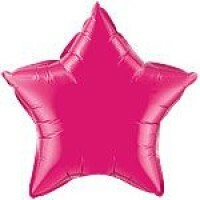 With a gorgeous pink and orange design, this will make your little girl's first birthday perfect! 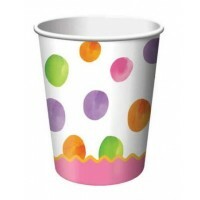 This range has bright block colours which looks beautiful with co-ordinating plain tableware that give it that extra stylish feel.